Traser took the ever popular styling of the Type 6 Mil-G and the Traser Shadow series and upped the ante a bit with the Traser Auto Pro. This watch features the standard, easy to read white markings and numerals on top of a black face and dial. Traser has taken the time to upgrade a few components of this watch to make it stand out from its predecessors. The Auto Pro comes with an Automatic Movement as well as Sapphire crystal; making the extra cost quite worth it. 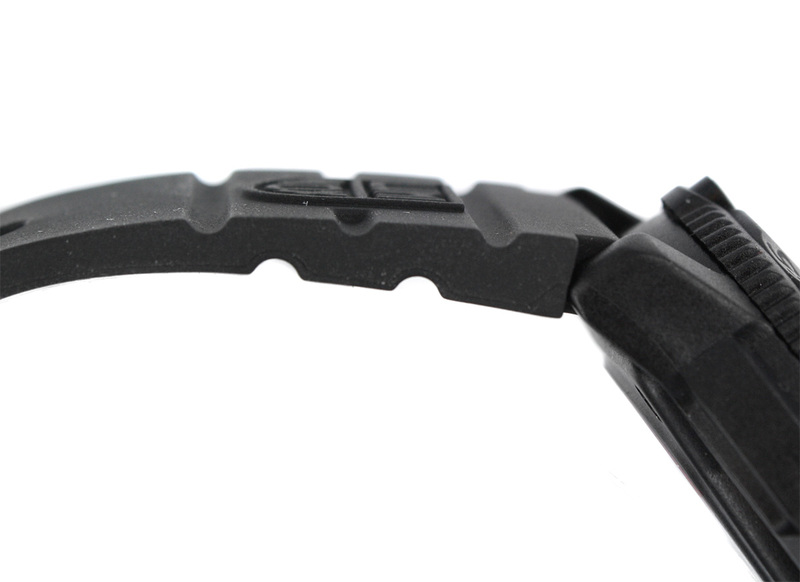 The Auto Pro can be purchased with a black rubber strap or black nylon NATO style strap. If you like the Traser P 6600 Type 6 MIL-G, you will love the sleek styling of the P6600 Shadow. Available with the nylon NATO strap or black rubber strap, this watch features stealthy gray numerals, markings and hands on top of a black dial and bezel. Trigalight® illumination color is green. Swiss automatic movement, sapphire crystal, 46 mm steel case, unidirectional rotating steel bezel with hour indicators, mineral crystal case back, water resistant to 330 ft. Luminous Tritium tubes on the the hands and at each hour marker. Unique stitched rubber strap and a classy yet bold face with the roman numeral at the 12 o’clock marker. For a closer look at the Automatic Master click here. Extremely robust double case construction: Outer case out of frosted steel, inner container out of polished steel, Swiss made Chronograph quartz movement, 660 ft (290 psi) water resistant, scratch resistant sapphire crystal and blue trigalight® illumination for a perfect readability in the daytime and at night. 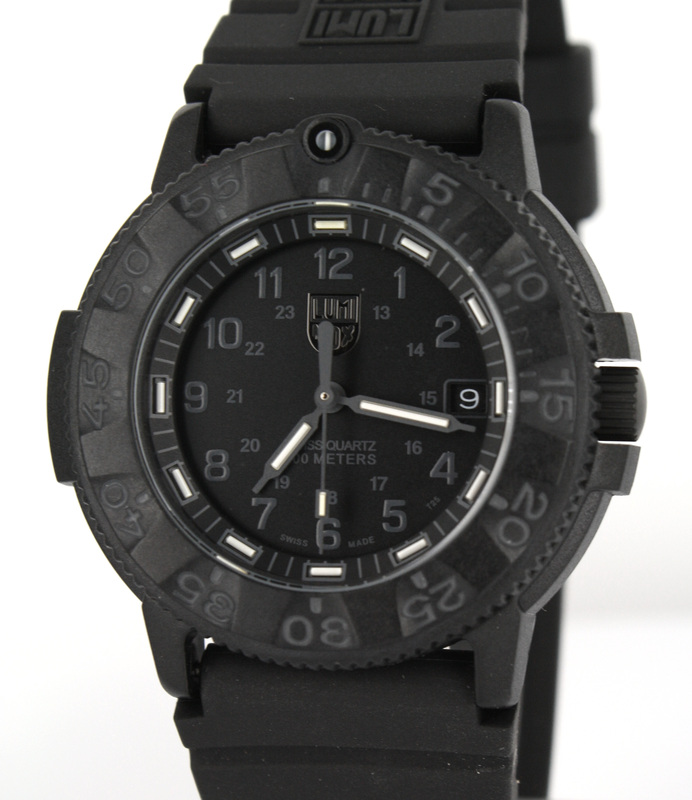 Trigalight technology is used in both Luminox and Traser watches. This technology is one of the key aspects in the reliability and functionality of these products. The video below, created by MB-Microtec, will hopefully provide some insight as to how and why this technology works. Innovative Swiss Precision Technology: The ability to manufacture the self-illuminating light technology called trigalight® is the result of decades of research and development work in the field of radio luminescence. The company mb-microtec ag is the originator and worldwide only manufacturer of watch lights based on this technology. trigalight® are independent of a battery or charging by sunlight, maintenance-free and have a guaranteed lifespan of at least 10 years. Functional principle: trigalight® are small, airtight sealed glass tubes coated on the inside with a luminous substance. The coating is “fired” with electrons emitted by the tritium gas which causes the layer to light up (when such an electron hits the powder layer a fraction of its kinetic energy is transformed into light). With a trigalight®, the necessary electrons are created through the radioactive disintegration of tritium (an isotope of hydrogen). Tritium: trigalight® are filled with tritium gas. Tritium is unstable and disintegrates whilst sending out beta radiation (electrons) with a half-life time of 12.3 years to helium. The electron is unable to penetrate the human skin and can be stopped without any problems by a sheet of paper. A traser® H3 watch contains 15 to 20 trigalight® for a total of no more than 1 GBq (Giga Bequerel) of tritium. MB-Microtec from Roy Schlaefli on Vimeo. If you’re a fan of the Luminox Navy Seal series, you’ll love the Traser Nautic. The P6504 Nautic appears in a fresh blue-yellow design and the trigalight® directly arranged on the dial. The countdown bezel offers to any observer of a regatta a simplified feature that sets an approximate starting time. The bezel itself stays unidirectional rotating to avoid a wrong setting. The traser H3 Aviator Jungmeister lives up to its role model, the Bu 133 Jungmeister, a unique aeroplane in the upper echelons of numerous aerobatics teams, in every aspect. Based on the aircraft instruments of this single-motored, one-seater double-decker, the steel frame of this watch visibly houses the Ronda 5010.B quartz movement with central stop-seconds and 30-minute/12-hour counter in the lower half of the dial. Time-stopping was key when flying Bucker aircraft, both for navigation and for calculating fuel consumption. Of course, flawless instrument readability was also essential here – which is certainly catered for with our unique trigalight lighting. TacticalWatch.com is proud to announce that we are now carrying Traser H3 watches. All models are in-stock; be one of the first to check them out! 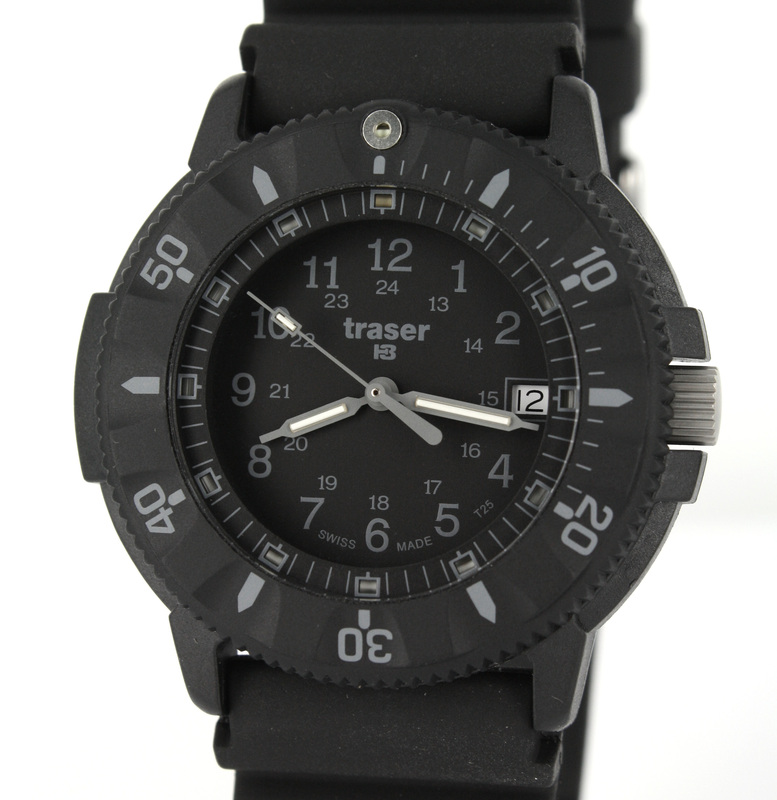 A traser® H3 watch is a Swiss made quality product with an unreached readability in darkness. The trigalight® illumination of a traser® H3 watch is independent of a battery and does not need sunlight for charging. A traser® H3 watch is robust, reliable and standardized according to military specifications.